Our century-old mountain lodge will take you back in time with bear rugs, antlers and alpine memorabilia. 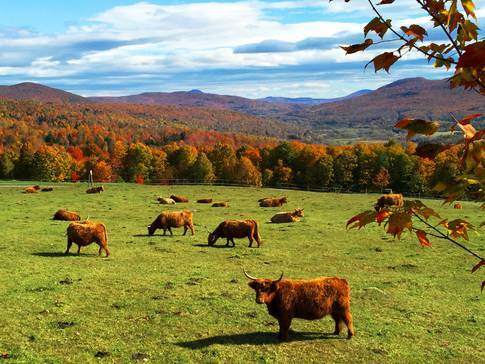 The fully licensed terrace overlooks the Missisquoi River valley with the spectacular backdrop of the Green Mountains of Vermont. 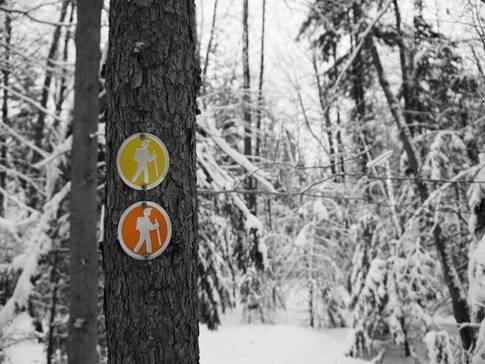 Explore 14 km (8.7 mi.) 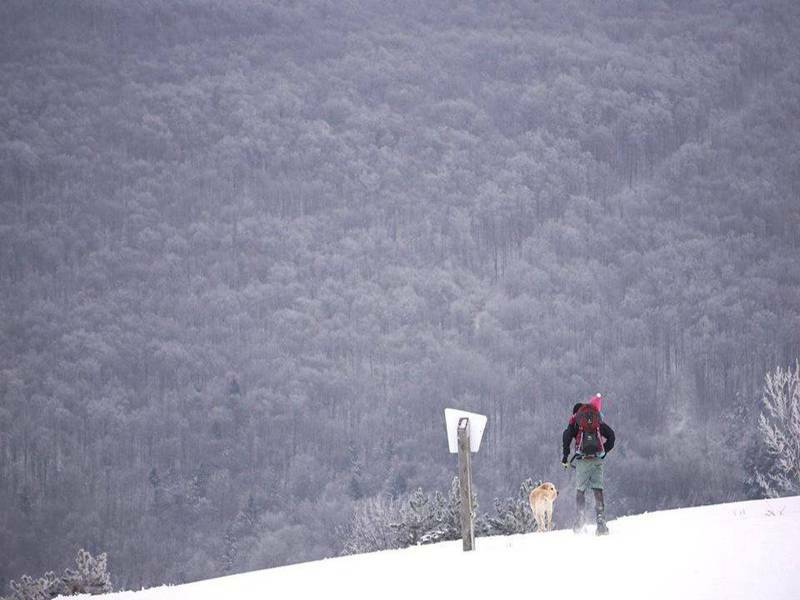 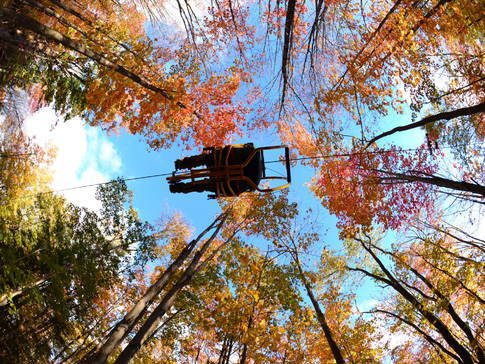 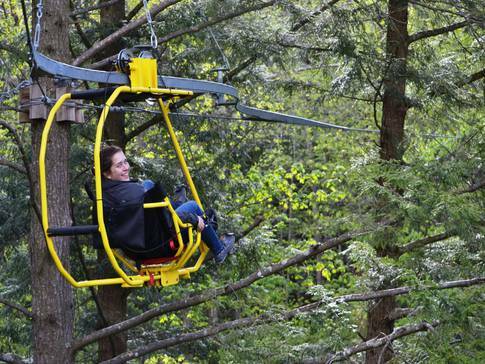 of trails, go kayaking and fly through the treetops on the one of a kind VéloVolant. 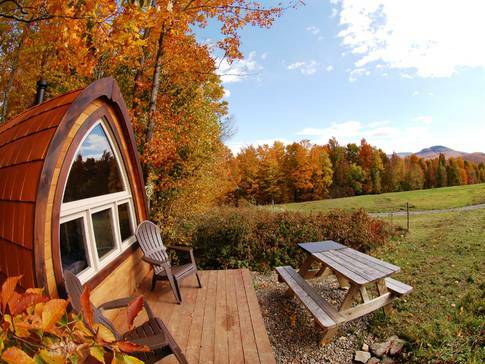 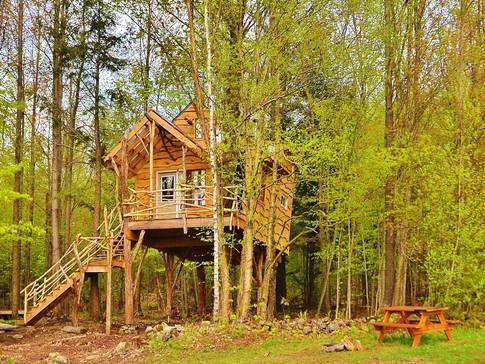 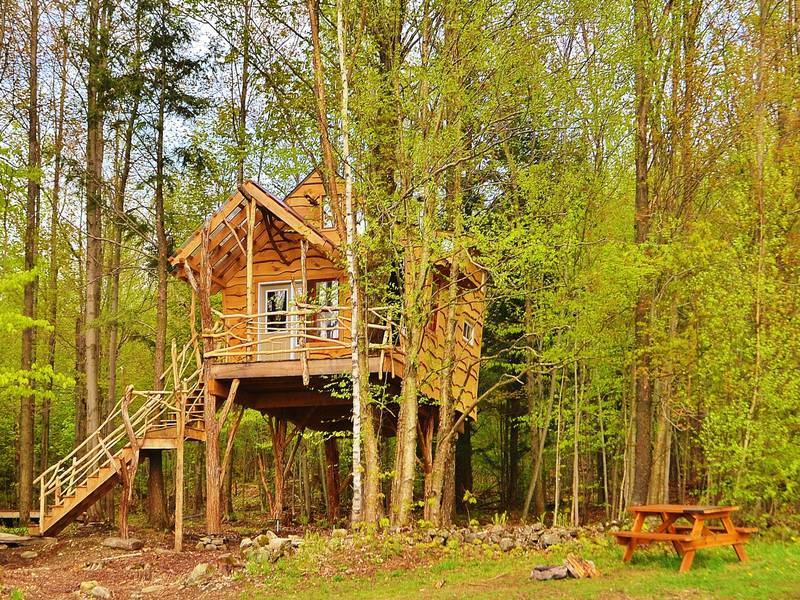 Camping, rustic cabins, tree houses, prospector tents, treegloo or two-bedrooms suites. AU DIABLE VERT "STATION DE MONTAGNE"